MESA, Ariz., Dec. 3, 2018 (SEND2PRESS NEWSWIRE) — C.A.I., A Cardiovascular and Arrhythmia Institute cardiology clinic in Mesa, Arizona shares tips to recognize warning signs when it’s time to see a cardiologist. Approximately one in four individuals die from heart disease each year in the U.S., with coronary heart disease being the most common. Knowing the warning signs of a heart attack and high risk to disease can reduce the effects of these life-threatening heart issues, according to the Centers for Disease Control and Prevention. The diagnosis of cardiovascular disease may go unnoticed before a heart attack, angina, stroke, or heart failure occurs, according to the Mayo Clinic. Because of this general unawareness of the disease, it’s important to look for any cardiovascular symptoms and visit a cardiologist to evaluate risk and potential of having heart disease. Cardiovascular disease symptoms include angina, which is sharp chest pain or discomfort, and pain in the upper body areas of the neck, jaw, throat, abdomen, and back. Congenital symptoms include body parts turning a bluish color, loss of breath, feeling fatigued easily, and swelling. Have a high potential for risk factors that include age, gender, family history, obesity, diabetes, stress, high blood pressure or cholesterol levels, smoking, and reaction from taking specific medicines. 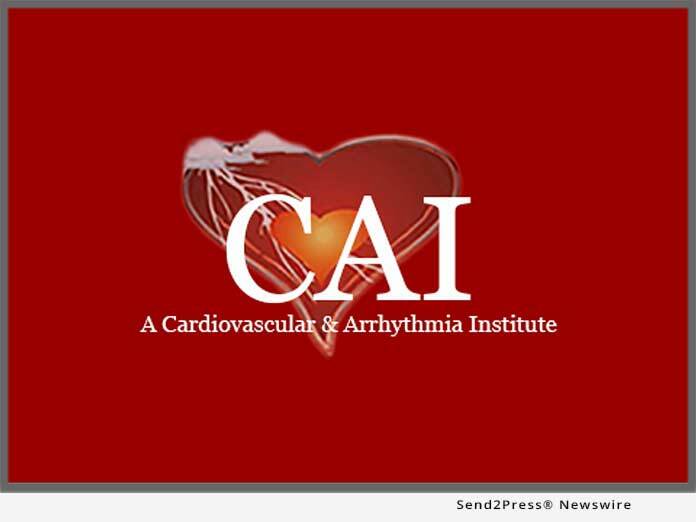 C.A.I., A Cardiovascular and Arrhythmia Institute, specializes in the treatment of cardiovascular disease, vascular disease and heart rhythm disorders. At the Institute the patient is always placed first. A comprehensive individualized treatment program is discussed and offered, which is designed to empower you to partner with us in your individualized treatment.